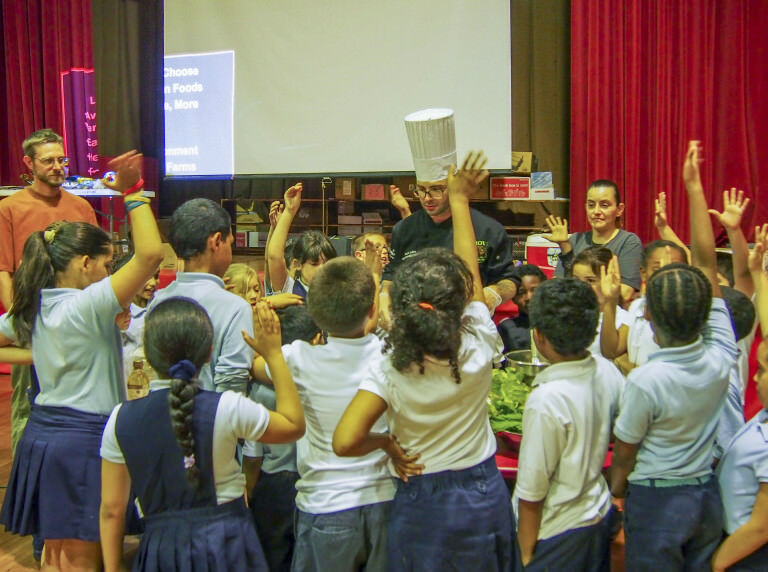 Our Farm to School programming aims to teach students the concepts and benefits of locally grown food at an early age, and encourages them to ask questions about where their food comes from, how it is grown, and who is growing it. 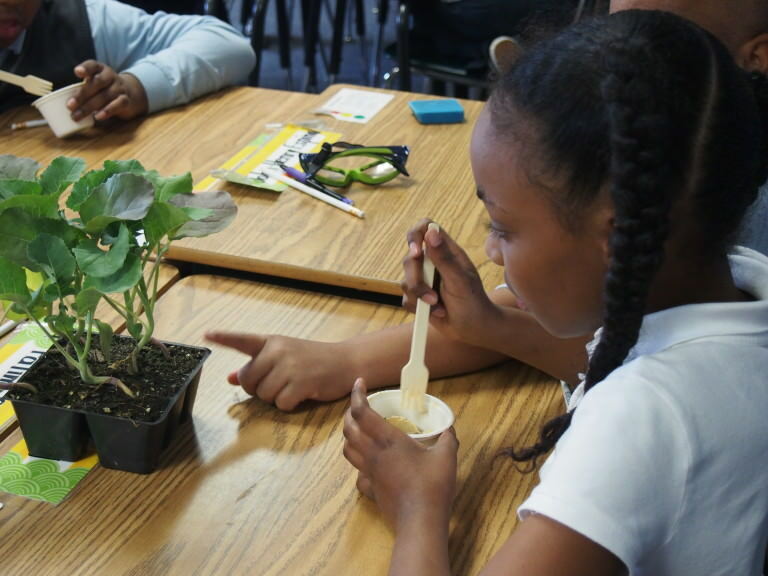 From in-class lessons that allow students to “meet the farmer” to cafeteria tasting tables featuring locally grown foods, our programs introduce students to a number of healthy, delicious, and unique fruits and vegetables that are available right in their own communities. BFBLGLV also works to facilitate locally grown food purchasing by school districts and advocates Farm to Cafeteria concepts. 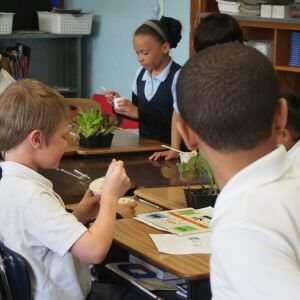 BFBLGLV launched its Farm to School programming in 2011 with its “CSA in the Classroom” presentation, designed for third and fourth grade students. That year, the organization hired the Kellyn Foundation, a local nonprofit outreach organization, to present the program to 35 third-grade classrooms in seven elementary schools in the Easton Area School District. 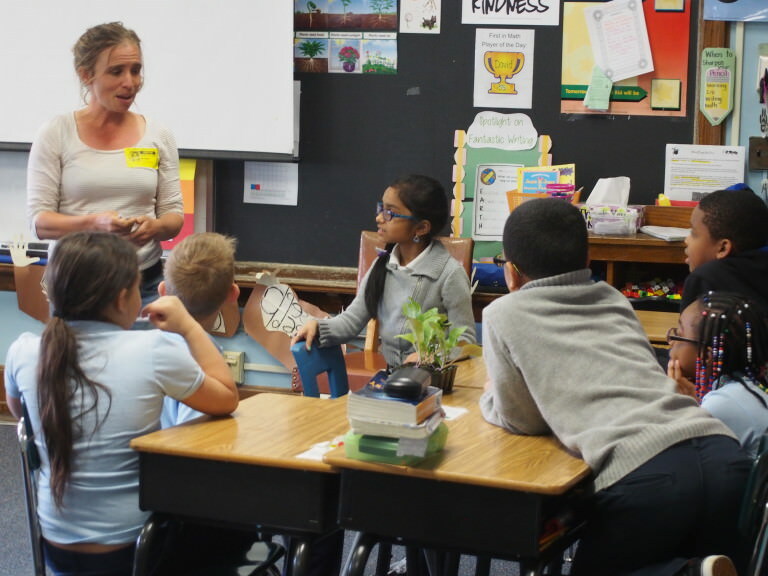 BFBLGLV staff have since continued the program in classrooms in the Easton, Bethlehem, and Allentown School Districts. During the presentation, nutritional value and seasonality of foods are discussed. Local farmers also visit, giving students the opportunity to sample an array of locally grown foods they may never have tasted before, including purple potatoes and kale and peach smoothies. This program also includes a School to Farm component, which takes students out of the classroom and into the field. 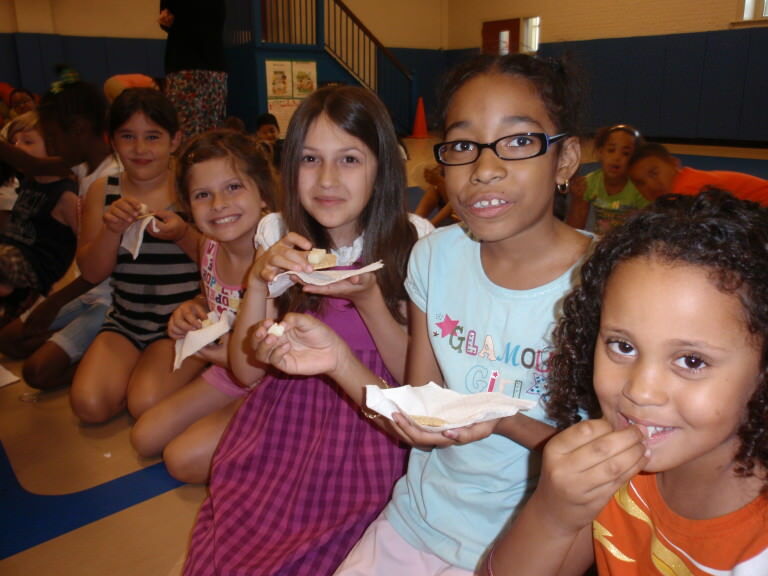 In the 2015-16 school year, BFBLGLV launched a pilot Harvest of the Month program at Easton’s Paxinosa Elementary School, which celebrates the diverse locally grown food options available throughout the four seasons. 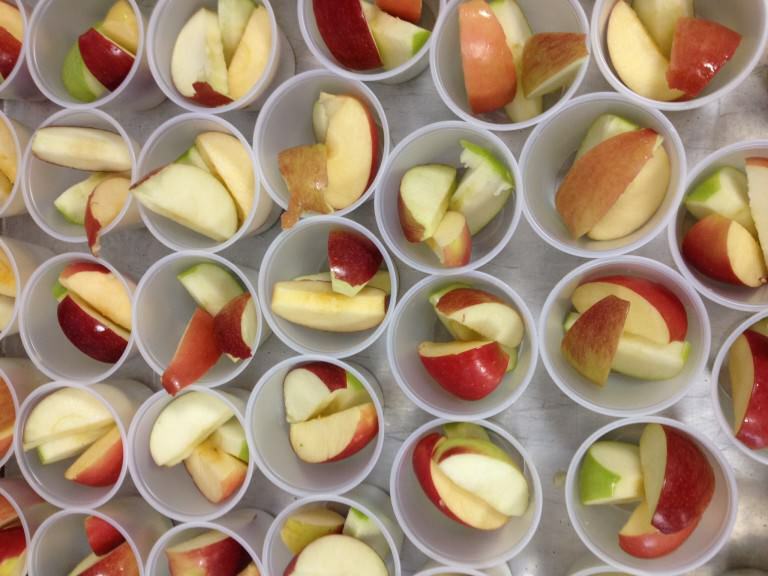 This program, supported by Easton Hospital and Chartwells Dining Services, allows students to sample a new local or regional food item each month in the cafeteria. 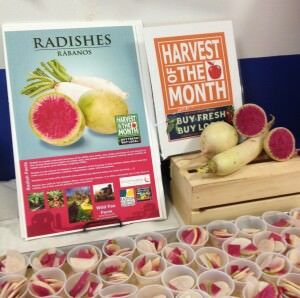 Samples have included a rainbow of heirloom tomatoes, multiple varieties of apples, a roasted root vegetable medley, daikon and watermelon radishes, and a massaged kale salad. BFBLGLV continues to advocate local and regional purchasing by Lehigh Valley school districts and healthy options for area students. 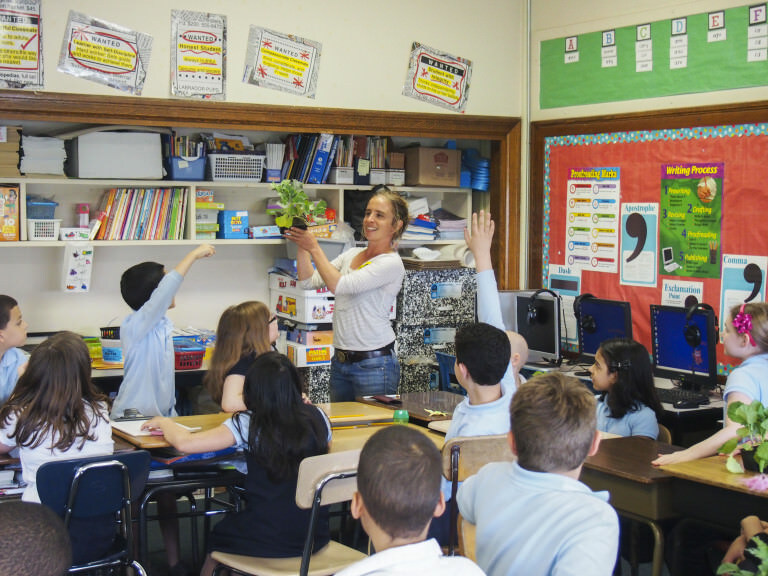 We are working with staff and administration in Parkland School District to develop a comprehensive Farm to School model for other schools in the Lehigh Valley. 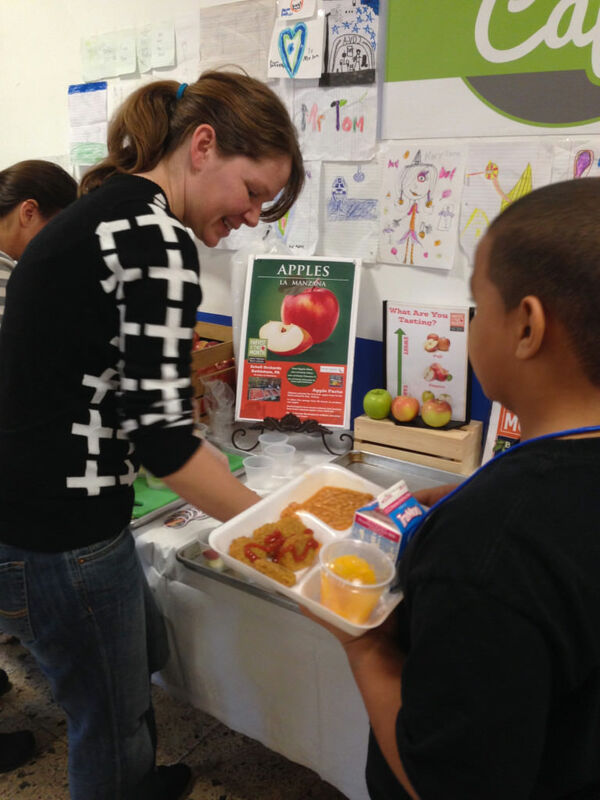 We also provide consulting services to schools looking to begin or refine their Farm to School programming. In 2016, BFBLGLV will host a series of seminars to bring Farm to School programming to the forefront of conversations about feeding our youth. BFBLGLV also serves as chair of the Lehigh Valley Food Policy Council Farm to School working group. For more information or to inquire about programming at your school, please contact Allison Czapp, BFBLGLV Outreach Coordinator (Allison@NurtureNatureCenter.org; 610-216-7659).